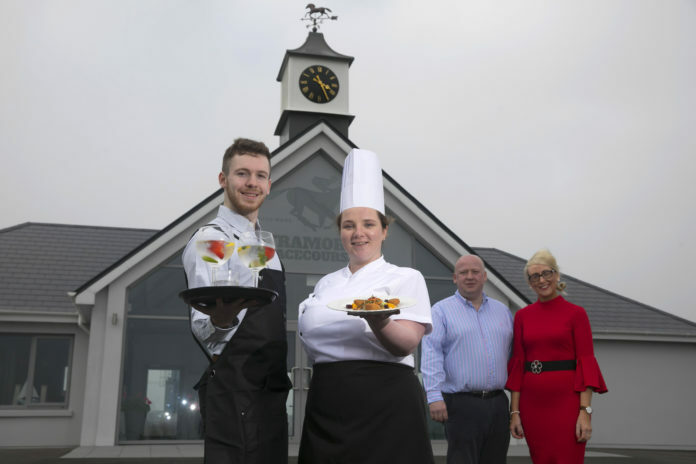 Pictured at Tramore Racecourse are Jason Thorne - Waiter, Stephanie Kavanagh - Chef, Seamus Dunphy, Owner of The Kazbar Waterford and Catherine O'Sullivan, Owner of The Vee Bistro. Picture: Patrick Browne. It’s all go at Tramore Racecourse as another bumper spring/summer season of racing draws closer. Always keen to collaborate with the business community, the racecourse have just announced the catering and hospitality contacts have been awarded to two of Waterford’s most successful businesses – the Vee Bistro and the Kazbar. The Vee Bistro, has become a firm favourite in Tramore serving delicious food with a twist. Owned and managed by Catherine & Derek O’Sullivan the opportunity to expand their operation to the racecourse was an opportunity not to be missed. Catherine said, I love a day at the races. It is a great way to socialise and meet friends and for me, good food and great service is very much part of the experience and we are really excited to bring that to Tramore Racecourse. The Kazbar in the Heart of Waterford is one of Waterford Leading Night spots and also prides itself on quality and service. 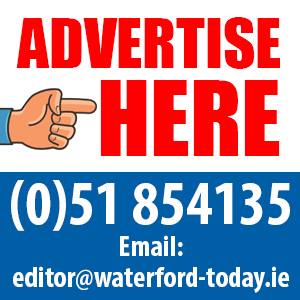 Seamus Dunphy commented, we are really looking forward to welcoming all of or customers from Waterford and beyond to Tramore Racecourse. It is a great opportunity to expand our operations further and to bring a little bit of Kazbar flair, premium drinks and cocktails to a day at the races.